Shanghai, March 22, Zhou Xun in orange clothes attended the conference to introduce a new drink, the orange juice which she is on behalf of. 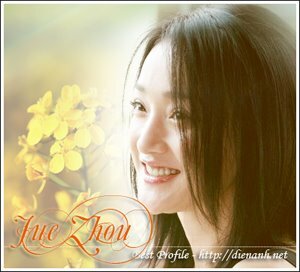 In the interview some people asked her about the recent scandals with director of Brother Hua Yi and Dai Qi. She showed the transquil feeling, said that this was a slander and went so far. She also straight reprimanded the fabrication as well as irresponsibility of the media. Some Jue's pics at the conference.